jane austen | What a book! I tend to agree with the movie critic Richard Roeper about zombies: They just aren’t interesting villains because they “just zombie ahead.” But I will make an exception if there are other elements that are interesting. Examples: “Night of the Living Dead” was a lot like “Fort Apache” and about the people involved, than zombies. And despite the gimmicky take on zombies in “28 Days Later,” I’m always interested in what Danny Boyle is going to do with a genre. And my wife actually liked “Resident Evil,” so I was all WTF about that one. But on the page, zombies are even worse for me. They just bore me; I don’t care about the allegory that people insist zombies effect, they just bore. Jane Austen has always left me cold, too, until recently. 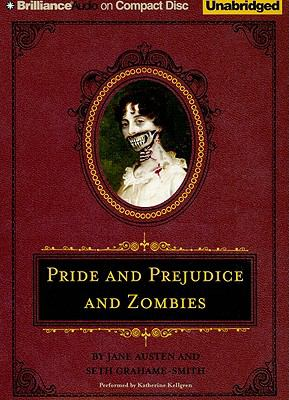 But I have to admit, when all the buzz started about “Pride and Prejudice and Zombies”, which features a mix of the original Austen text and new text by Seth Grahame-Smith, I wanted to read it. But much like when I made sure to watch “Bad Boys II” and “28 Days Later” before I watched “Hot Fuzz” and “Shaun of the Dead”, I listened to “Pride and Prejudice” before listening to the zombie mashup. 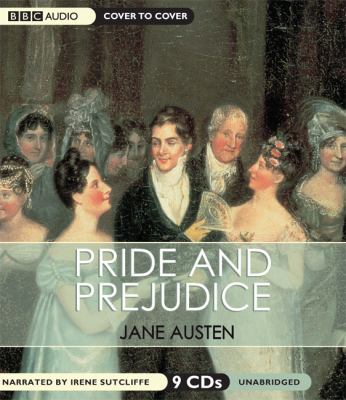 I have to admit, I got into “Pride and Prejudice” and, like so many others, came to be annoyed and frustrated by Mrs. Bennet, root for Lizzy and generally think Mr. Darcy really wasn’t as bad as the modern romantic comedy makes him out to be. Because Austen’s original text is included here, for long stretches even, the overarching story still guides the plot. The added text dealing with zombies (sometimes just a word changed and no more) is mostly there for laughs. The story remains about characters and doesn’t revolve solely around brains and gore and cannibalism (although there is lots of that, but not too graphically so). One particular passage had me laughing out loud. A very pompous noblewoman, Lady Catherine de Bourgh, scolds Lizzy in the original about how common she is because Lizzy’s parents raised five girls with no governess. What follows is a tirade with the constant repetition of the word “governess.” In the mashup. Lady Catherine is one of the most feared zombie killers in all the land and the same rant is repeated, except where it originally said “governess”, the text substitutes “ninjas.” Believe me, in the context of the story, this is very funny. So give this tandem a try. You’ll get a classic under your belt, at the very least, and you may have a little fun along the way. The audio versions had narrators with a good grasp of proper English speech, which only added to the fun. You may like this if: You like zombie books (because you’ve already got a twisted sense of humor); you’re an Austen devotee who happens to have been born with a sense of humor.